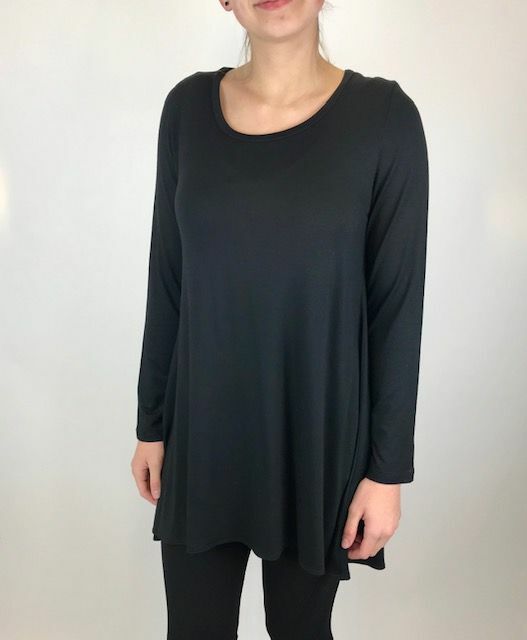 A fun solid black tunic with a swingy fit and long sleeve. 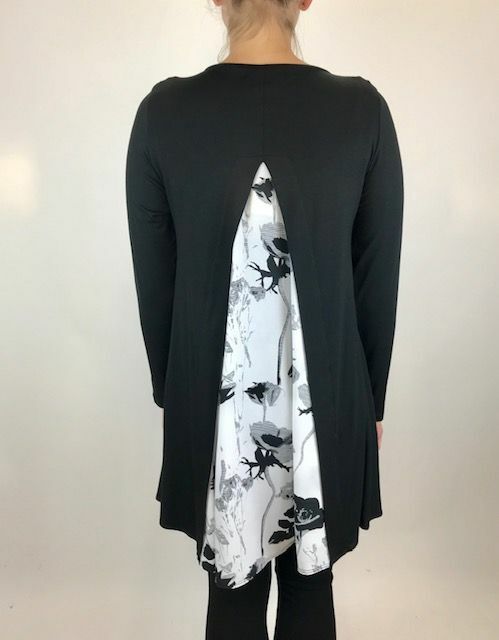 This piece has a back split that reveals a black and white floral pattern panel too! Add leggings to this piece to complete the look.